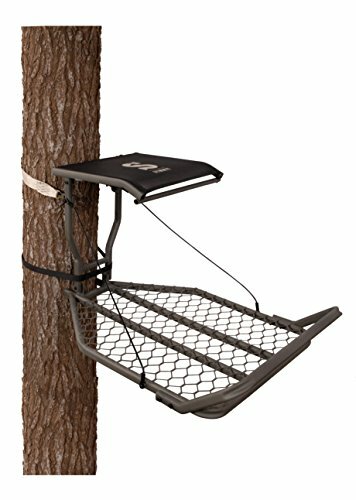 Ideal for larger hunters or anyone who wants more space on long hunts, the Mammoth offers Summit’s largest treestand platform while still remaining relatively light. Weighing in at just 20 pounds thanks to a contoured mesh seat that flips out of the way for even more room, the Mammoth also includes a full-width footrest that helps relieve pressure on your legs. Weighs 20 lbs. and holds up to 300 lbs.